A vacation in Kigali, Rwanda's capital city and economic hub, lets you experience the very heart of a landlocked country from a pleasant, safe, and organized base point. Spend the 4th (Mon) wandering through the wild on a nature and wildlife tour. The adventure continues: examine the collection at Kigali Genocide Memorial, contemplate the long history of Ntarama Church, view the masterpieces at Niyo Arts Gallery, and admire the masterpieces at Inema Art Center. For ratings, more things to do, traveler tips, and tourist information, refer to the Kigali tour planner. Zurich, Switzerland to Kigali is an approximately 16.5-hour flight. The time zone changes from Central European Time (CET) to Central African Time (CAT), which is usually a 1 hour difference. Traveling from Zurich in September, things will get a bit warmer in Kigali: highs are around 32°C and lows about 19°C. Wrap up your sightseeing on the 7th (Thu) early enough to drive to Ruhengeri. 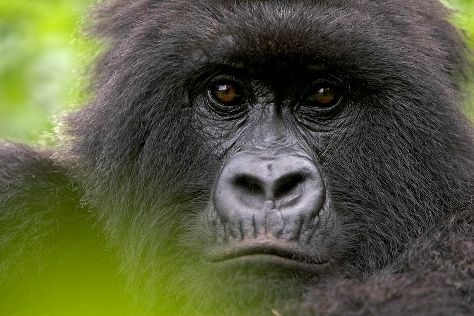 Most tourism in Ruhengeri revolves around the famous national park, which shelters mountain gorillas of the volcanic Virunga range. Change things up with a short trip to Kayaking & Canoeing in Gisenyi (about 1h 10 min away). There's lots more to do: explore the wealth of natural beauty at Volcans National Park, don't miss a visit to Karisoke Research Center - Dian Fossey Camp, and surround yourself with nature on a nature and wildlife tour. To see ratings, reviews, maps, and more tourist information, refer to the Ruhengeri tour planner. Traveling by car from Kigali to Ruhengeri takes 2 hours. Expect little chillier temperatures when traveling from Kigali in September; daily highs in Ruhengeri reach 26°C and lows reach 15°C. You'll set off for Southern Province on the 11th (Mon). Rwanda's Southern Province remains best known for its lush mountainous rainforest, a national park hailed for its well-preserved state and biodiversity. On the 12th (Tue), explore the wealth of natural beauty at Nyungwe National Park. On the 13th (Wed), you'll have a packed day of sightseeing: take an in-depth tour of King's Palace Museum, then examine the collection at Ethnographic Museum of Rwanda, and then contemplate the long history of The Palace of King Mutara III Rudahigwa. To find other places to visit, maps, photos, and other tourist information, you can read our Southern Province trip builder. You can drive from Ruhengeri to Southern Province in 3.5 hours. Traveling from Ruhengeri in September, things will get a bit warmer in Southern Province: highs are around 32°C and lows about 19°C. Wrap up your sightseeing on the 13th (Wed) early enough to travel back home.